This morning was the Mike Cheek Memorial 5K by the Terrell Lions Club. The rain had stopped and it was a nice morning. I found a spot by a big water puddle and kept hoping someone would run through and not around. 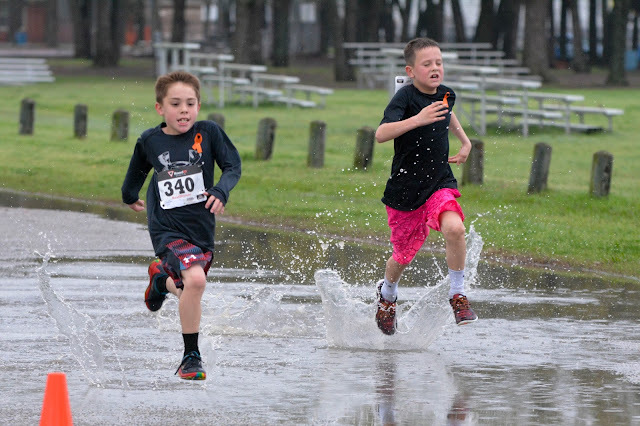 Leave it to kids to have the most fun and splash their way to the finish line.